Not only is Seattle the largest port city in the Pacific Northwest, it is also home to the world-famous Space Needle, the birthplace of ‘grunge’ music, and has a reputation for heartily embracing all things coffee! Sports enthusiasts will be delighted to catch a Seahawks or Seattle Mariners MLB game while visiting scenic Seattle as well. Seattle visitors will want to dine at the SkyCity rotating restaurant, located at the top of the Space Needle, and drink in the 360-degree view of Elliot Bay, the surrounding mountains, and unique Seattle neighborhoods below. Don’t forget to catch a summer night concert at Pier 62/63 and explore the Seattle Aquarium while visiting this lush and independent West Coast city. 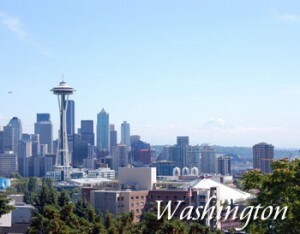 Contact us to feature your Washington hotel or lodging property.